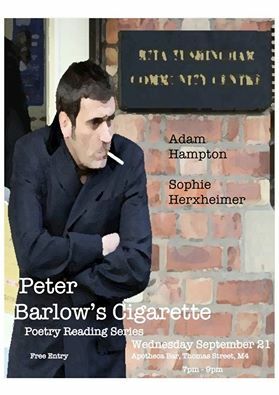 A special, mid-week Peter Barlow’s Cig, at a new venue! Wednesday September 21, at Apotheca Bar, 17 Thomas Street, in Manchester’s Northern Quarter, 7-9pm. Free entry. All welcome.